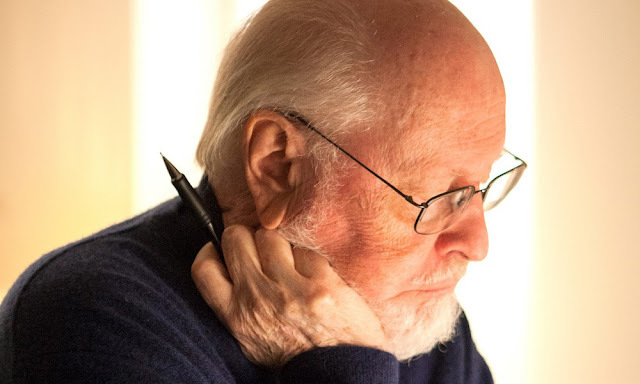 It's John Williams' birthday today so to celebrate the maestro's 87th Birthday, we've compiled fifteen facts on the iconic composer that you may or may not know. Happy Birthday John, keep swinging that baton. 3 - With 51 Oscar nominations, Williams currently holds the record for the most Oscar nominations for a living person, and is the second most nominated person in Academy Awards history behind Walt Disney's 59. Forty-six of Williams's Oscar nominations are for Best Original Score and five are for Best Original Song. 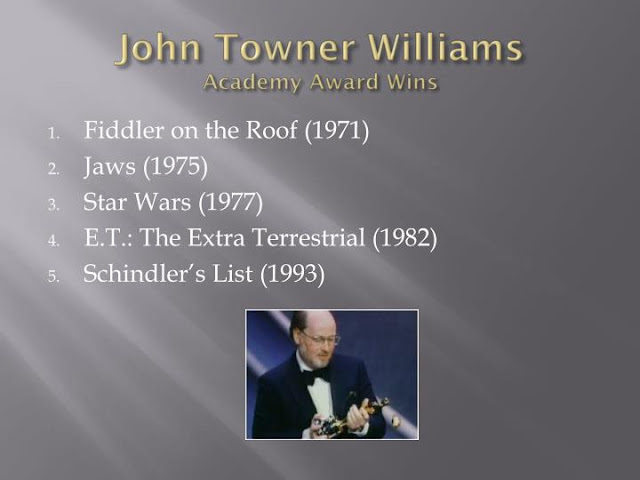 5 - John Williams is most famous for some of the most memorable movie soundtracks ever to grace the big screen but did you know that he has also written some of the most iconic themes for the small screen too? In the 1960's "Johnny Williams" as he was known back then composed the themes for some of the most popular TV shows at that time. Themes to Land of the Giants, The Time Tunnel, Gilligan's Island and Lost in Space were all thanks to Johnny Williams. Obviously Irwin Allen was a fan as he signed up John Williams to compose the soundtracks to some of his movies too. He is also responsible for the NBC news theme "The Mission." 6 - He met Spielberg on a blind lunch date in 1972. We can all agree that was the start of a beautiful relationship. 7 - He composes using a pencil and paper on a small writing desk next to his Steinway piano. He has never had time to learn to write music using a computer. In an interview back in 2016, John Williams confessed to not owning a computer. He said "I still use the piano, I still use a pencil and paper; I have not evolved to the point where I use computers and synthesizers. First of all, they didn’t exist when I was studying music and luckily, mercifully, I have been so busy in the interim years that I haven’t had time to go back and retool. And so my evolution, in very practical terms, i.e. 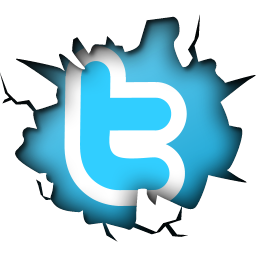 piano and pencil and paper, has not changed at all." 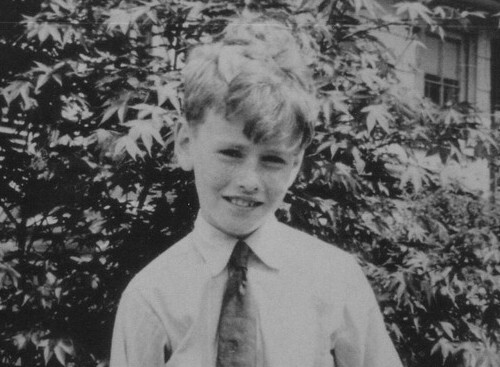 8 - John Williams drafted into the U.S. Air Force in 1952. There, he joined the band and arranged, played, and conducted music for various military bands including the U.S. Air Force Band. 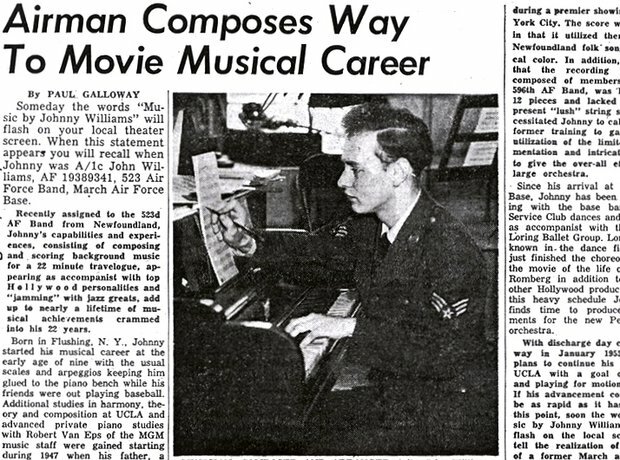 9 - After service in the Air Force, Mr. Williams returned to New York to attend the Juilliard School, where he studied piano with Madame Rosina Lhevinne. 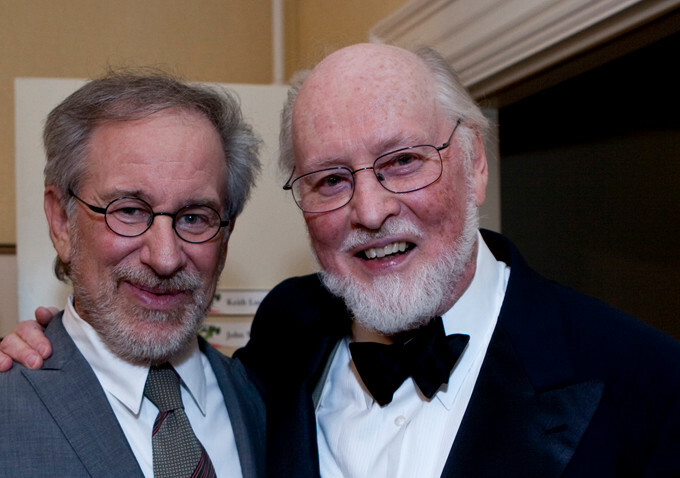 12 - It's not just TV and movies that you can here the magic of John Williams. He has written a number of concert pieces too. A symphony, a sinfonietta for wind ensemble, a cello concerto premiered by Yo-Yo Ma and the Boston Symphony Orchestra at Tanglewood in 1994, concertos for the flute and violin recorded by the London Symphony Orchestra, concertos for the clarinet and tuba, and a trumpet concerto, which was premiered by the Cleveland Orchestra and their principal trumpet Michael Sachs in September 1996. 13 - It seems the Olympics are a big fan of John Williams as he has composed music for the 1984, 1988, and 1996 Summer Olympic games. He also composed music for the Special Olympics in 1987. 14 - On June 23, 2000, he became the first inductee into the Hollywood Bowl Hall of Fame. 15 - His father was a jazz percussionist who played with the Raymond Scott Quintet. 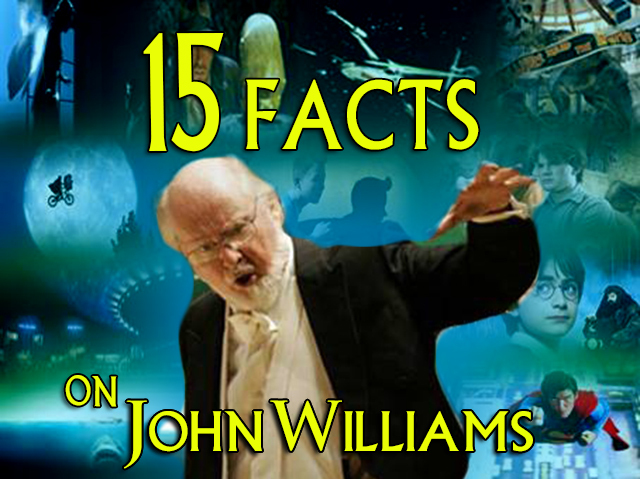 Do you know any facts on John Williams that we should include? Let us know and we'll share with our readers.